Bobrick is a 100+ year-old global washroom accessory and partition company headquartered in North Hollywood, CA with six manufacturing divisions across the United States and Canada. A leader in product innovation and manufacturing, Bobrick prides itself as a company that delivers best-in-class products and service, while fostering an environment of collaboration and continuous learning. Architects, developers and facility managers have selected Bobrick's performance-engineered toilet partition with confidence since 1970. As a market leader, Bobck delivers building owner value through design excellence, multiple options, code compliance, and long-lasting durability. Gamco – formerly known as General Accessory Mfg. Co. – has now become Gamco Commercial Restroom Accessories – a division of Bobrick Washroom Equipment, Inc. Gamco offers a complete line of stainless steel grab bars, fold up shower seats, towel dispensers, waste receptacles, toilet tissue holders, hand dryers, mirrors, stainless steel hardware and soap dispensers. 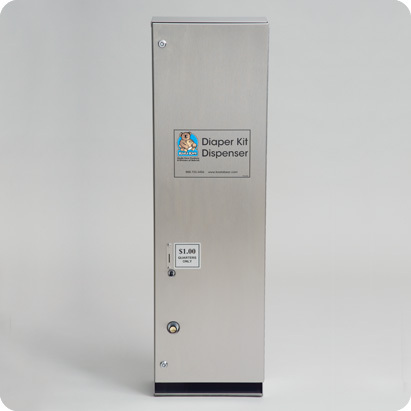 Koala Kare Products is the world's most recognized brand of Baby Changing Stations and commercial childcare products. We are a privately held company headquartered in Centennial, CO and a Division of Bobrick Washroom Equipment, Inc.